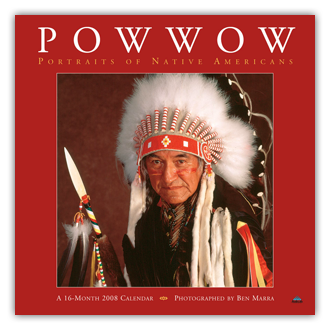 In 1994, the Marras began publishing POWWOW: Portraits of Native Americans. A couple of years and many dusty miles later, the Marras added another title, Native American Dance, which showcases action-oriented dance scenes from their travels to powwows. The demands of the two yearly calendars supplied the impetus to continually photograph and assemble images, meet new dancers, collect biographical information, and learn more about the fabulous dances at powwows. Over the years, the Marras’ greatest reward has been discovering the appreciation of their work by dancers and family members who have enjoyed being featured in them. Experience the power, honor, and pride of the Native American people through their dance in these vibrant photographs taken at powwows throughout Indian Country by Seattle photographer Ben Marra. Enter into the inner circle of the powwow—gatherings of native peoples that showcase traditional dance, drumming, singing, and regalia. The proud, positive imagery and personal text in the calendars—as well as in the book—are used in schools, wellness programs, and prisons to instill hope and inspiration. 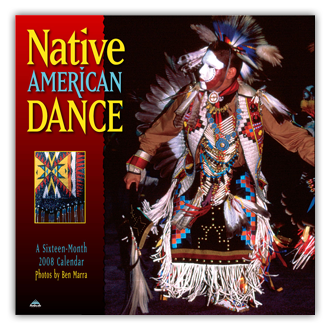 Calendars are available to Native youth groups and tribal organizations at discount as a fundraising opportunity for student projects. Groups interested in calendars for resale may contact the publisher: 888-280-5264.